As part of the International Student Employability Forum, I was invited to join a panel discussing how international students can enhance their job prospects in Australia. The event was attended by hundreds of international students from Australian Catholic University, Western Sydney University, University of Sydney, UNSW, UTS, Macquarie University and University of Wollongong. Sophia Demetriades, Director Communication & Partnerships, Intersective: Sophia focussed on networking and how internships can assist you in your career. Is there any generic advice you can give in terms of immigration and employability? What positive things can students do to maximise their ability to stay? Many students seem to study courses just because they think they might have a better chance of getting their PR. Wrong approach - you're better to study something you have a passion for. Immigration rules change, and you might end up not being able to apply for PR. If you study something you love, the worst thing that can happen is that you have a qualification in a career you actually want to pursue. If you do well in your course, this will make it easier to get a job you love, and this can also open up immigration opportunities. If you study something just for PR, you'll be competing against a lot of other people for limited places and you might end up spending a lot of money and being disappointed in the end. Make the most of living in a different country. Rather than staying in your comfort zone, make friends with locals and with students from other nationalities. Try something different - Join a club, do volunteer work, live in share accommodation. Interacting with locals will greatly improve your English language ability, and will mean that you make connections which might make it easier for you to get a skilled job on completion. English language testing is the most important single factor in the skilled migration points test. You can score up to 20 points for English and this can make all the difference between becoming a PR and not. Results are valid for 3 years, so it's never to early to start working on this. Many students struggle to get the scores they need - the main reason for this is often that they do not understand how the test works. English test preparation courses can help, and many students benefit from one on one tutoring. The worst thing to do is to just sit the test repeatedly - this gets very depressing. Unless you do something different, why would the results change? Once you have a job in Australia in your profession, many options start opening up. For instance, there are a range of employer sponsored visa options, and many states and territories require you to have a job offer before they will sponsor you. So don't just work at the local supermarket, focus on getting work in your occupation. Focus on networking, and try an internship. There are a number of providers who can arrange an internship for you with a quality provider. Some occupations have a professional year option - such as IT, Engineering and Accounting. This gives you extra points and might help with skills assessment, but most importantly it allows you to get your foot in the door in the Australian job market. Getting a permanent visa to live in Sydney is getting more and more competitive. For people willing to "look outside the square" and consider regional Australia, there are lots of opportunities. For instance, NSW is one of the biggest users of the Skilled Regional Subclass 489 visa - this is a 4-year provisional visa, which leads to permanent residence once you've lived and worked in regional Australia for 2 years. If you have a job offer in regional Australia, you can consider an RSMS visa - this is a permanent employer sponsored visa which you can apply for without skills assessment and without skilled work experience. Many students are reluctant to move outside of the main capital cities (Sydney, Melbourne). My experience is that the ones that do make the move really enjoy the lifestyle and often don't return to a major city after they get their PR. What are the skills you look for that make people more employable? In today's business environment, technical skills are taken as given and that it's the soft skills that really make candidates stand out. What would prevent you from employing an international student? 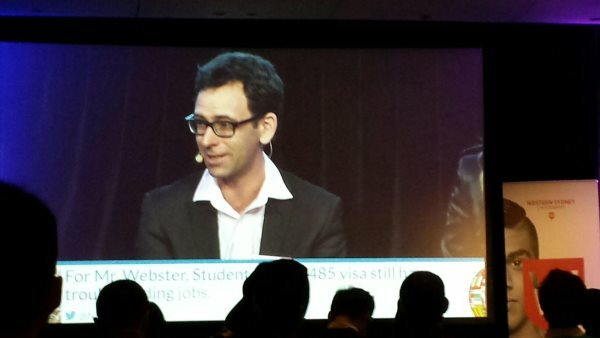 I'd rather answer the opposite question - what considerations would encourage me to hire an international student! How important is a visa/type of visa to employability? Fundamental - employers often won't even give an interview unless students can show that they have work rights on their visa. Employer face fines and other penalties under Australian Immigration Law if they employ temporary residents in breach of their visa conditions. Many employers don't understand the work rights which apply on temporary visas - for instance the 40 hours a fortnight restriction on student visas. They might also be concerned about the short-term nature of temporary visas - if your visa is expiring in 6 months, why would an employer invest in training you and getting you up to speed? Once you have a permanent visa, the situation is much more favourable. As you have unrestricted work rights and no expiry date on your stay in Australia, employers will be much more willing to give you a chance. From an employer perspective, how do you feel about hiring people on a 485 postgraduate visa? The Graduate Temporary Subclass 485 visa gives you full work rights for anywhere between 18 months and 4 years depending on your course. Because it has unrestricted work rights, there are no major concerns in hiring someone on this visa. The length of the visa is the main constraint - however it is quite common for employers to look at sponsoring students on 485 visas. There is a pathway onto a 4-year 457 visa, and then onto a permanent ENS visa after 2 years.